Page last edited 2010-02-14 13:54:32 (version 19). Clapham Junction is a large overground station in southwest London. It serves all lines into Waterloo and a large number of lines into Victoria, along with the West London Line. Clapham Junction is the busiest station in the country (and possibly in the world) in terms of the number of trains passing through each day (around 2000), and has 16 platforms numbered from 2 to 17. [South West Trains]?, [Southern]? and Silverlink (West London Line) serve Clapham Junction. Frequency to most destinations is very high, particularly Waterloo and Victoria which see trains virtually every couple of minutes for most of the day. A large number of buses serve Clapham Junction (PDF link), making it very easy to get to. There is no tube to Clapham Junction, although the East London Line will serve it once the southern extension begins running (however, the ELL will become a National Rail service anyway once the extensions are open). 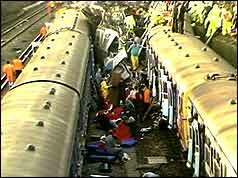 Clapham Junction is also the location of the one of the worst British rail accidents in recent history, when 3 commuter trains (carrying some 1300 passengers) collided following a signalling failure on 12 Dec 1988, killing 35 people. This accident lead to the Hidden enquiry which recommended the installation of Automatic Train Protection across the entire network (now installed on some lines, but deemed too expensive at current estimates of £6bn) and the removal of all "Mark I" stock in the country (now underway with the replacement of the entire train fleets of [South Eastern Trains]?, Southern and South West Trains). Last edited 2010-02-14 13:54:32 (version 19; diff). List all versions.